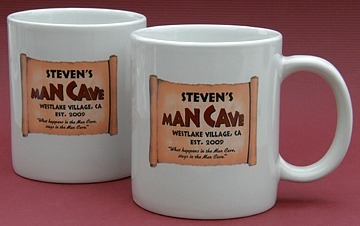 Personalize these Man Cave Coffee Mugs with your name, city & state and your year you established your Man Cave. Also great for soup, stew or chili. This set comes with two jumbo coffee mugs. Each mug is 4.5 inches tall and approximately 4 inches in diameter. Holds 19 oz. each. 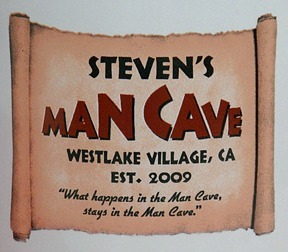 Hand Wash. A Man Cave Gifts Exclusive!